How to watch what your competition is doing in the Internet? Knowledge of the market, which is necessary for an effective business activity, means that you have a permanent access to up-to-date information about your clients and partners (which is the easiest), potential clients and partners (which is more difficult), legal and political environment (which is doable) and, probably above all these things, about the competition (which is not that easy). Competing for the market takes place across many spheres. One of those is the Internet and more specifically, on-line marketing and PR. An array of possibilities offered by the new technologies -which allow precise targeting of campaigns, on-going optimization, unprecedented measurability – also allow you to monitor the promotional activities of your competition more easily than before. A regular monitoring of your competition’s websites is a normal practice. You read the news, check the offer, etc. That is not a problem, if your direct competition are only few companies. It gets more troublesome, if you have tens or even hundreds of such companies. Those websites which make their news sections (and sometimes also other articles) available via RSS can be simply added to your favorite reader or you can use the RSS feed monitoring services, such as WatchYourFeed.com. With other websites, you can use the content monitoring – a tool which on an everyday basis checks it for you whether there is any new content on the pages you indicated. Content monitoring services are delivered through WebAlertPro. With no access to a tool which would monitor the traffic on our competitors’ websites, we will never know how high it is. Still, there is a way to compare at least the scale of their traffic to that of our website. Alexa provides an international website popularity ranking based on the estimated volume of traffic. With free access to the data you can watch charts showing the estimated volume of traffic on the websites you choose and compare it to that of other websites. Google DoubleClick AdPlanner provides not only web traffic estimates, but also information on website users demographical profile. One of the factors which directly influence the traffic on a website is the website’s position within search results (SERP) – for keywords directly connected with the company’s offer. You can monitor the positions of your competitors’ websites exactly in the same way as you monitor the positions of your own website, i.e. either manually (which is a waste of time) or automatically. Automated monitoring of positions within search engines is offered by SerpBuddy, SEscout, SERP Monitor, Serpfox, AuthorityLabs. Everyone wants to know which competitor ordered an advertising campaign when and where. Unfortunately, the only way to obtain such information has so far been to use research companies which monitor advertising campaigns in the media, such as Competitrack. You can, however, access information about how active your competition is in AdWords, i.e. the advert system of Google. The basic information is that on the competitiveness of selected keywords. You can check how popular these are with AdWords advertisers with the use of a tool which is to select appropriate keywords – Google Keyword Tool. But those are only generalities. More information can be found under “Opportunities” tab under “Analyze competition” in Google AdWords panel. Other companies’ activity in AdWords can be monitored by domains, key words or websites where AdSense adverts (of Google’s advertising network) are displayed. 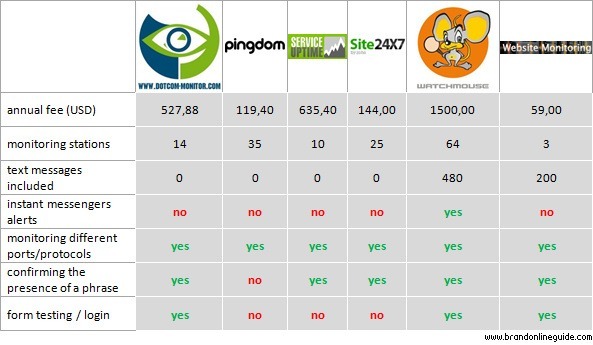 For that you can use such websites as MixRank, Compete, iSpionage, KeywordSpy and SEMRush. PR activities in the Internet generate results of a completely different scale than in the traditional media. An interesting piece of press information may on the very same day appear in hundreds of blogs, news websites and portals. If the message is viral (funny, controversial, etc. ), there is a chance it becomes popular in social networking services – discussion forums, Facebook, LinkedIn, etc. In order to spot when companies appear in internet publications you can use media monitoring services: CyberAlert, trackur, BrandsEye, actionly, socialmention. To check the product offer and the most recent prices you can use price comparison websites, i.e. mainly pricegrabber, Nextag, bizrate, shopzilla, Price.com. As for now they are not offering monitoring services. But external websites with that offer should certainly appear shortly because the majority of price comparison websites make their data available via API. A kind of a barometer of the e-commerce is eBay – a platform through which a significant part of the turnover coming from e-commerce is generated. There is at least one website which makes it possible to generate statistical reports based on the data from eBay. TERAPEAK offers reports which show the trends, optimal prices and listing times. It will be useful, if our competition sells on eBay. To put it in a nutshell, you can use it to monitor specific sellers and the revenue they receive from auctions. The company is people – this also refers to your competition. In the Internet, you can watch the people who lead the companies and check who is employed or fired by selected businesses. The largest social networking site, Facebook, has recently introduced a feature that allows users to subscribe to posts from selected people, i.e. to monitor without the need to “make friends”. Of course, they first have to switch that option on in their profile. The basic tool used to watch someone’s career is LinkedIn. It is also worth using search engines and entering names of key people. What I have in mind is both Google and specialized search engines such as 123people and pipl. For sure there are more tools you can use to watch what your competition is doing on the Internet, for instance trade portals. You can also verify more official information about businesses such as what is entered into the US Securities and Exchange Commission (SEC) or UK Companies House. If you know any other ways of watching your competition’s marketing activities, please share them in the comments.